By champion sire Fastnet Rock from the family of Galileo, royally bred filly Alluringly (3f Fastnet Rock x All for Glory, by Giant's Causeway) gained her first Black Type success when winning the Listed Hurry Harriet Stakes at Gowran Park. Third to superstar filly Enable in the Group I Epsom Oaks, the Aidan O’Brien trained Alluringly has been below her best in two runs since, but bounced back to win this nine and a half furlong contest by a neck with Seamie Heffernan in the saddle. “She was the classiest filly in the race but her last two runs have been a little bit disappointing. I always felt I was going to get there. I was happy enough to come on the wide outside and get a clear run. We haven’t seen the best of her yet and she is looking like she is getting back to herself. She is a bit more than what we have seen so far from her,” said Seamie Heffernan. 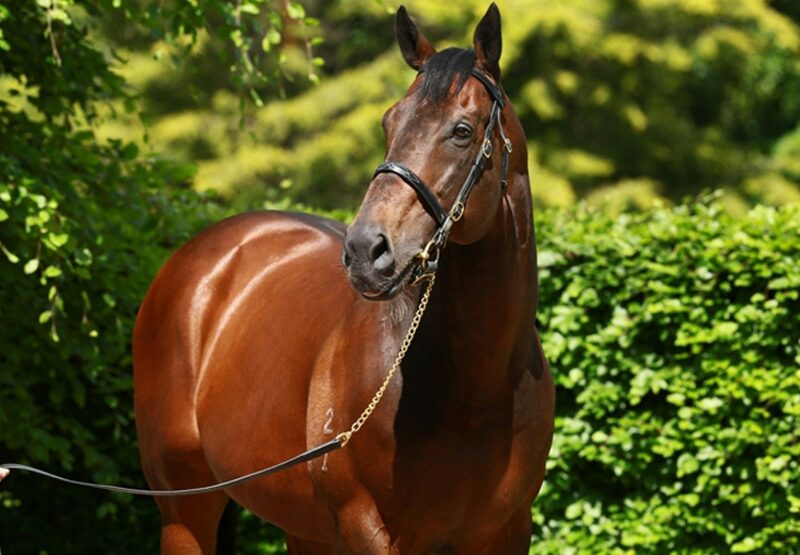 Alluringly has two wins and two placings from eight starts and is the 121st stakes-winner for Fastnet Rock. Now 16, Fastnet Rock has packed a lot into his life to date and has been shuttling regularly to Ireland since 2010 achieving outstanding success. Fastnet Rock has sired 28 Northern Hemisphere bred stakes-winners headed by six Group I winners. Alluringly is the best of two winners from unraced All for Glory, who is by Giant’s Causeway from the Group III winner All Too Beautiful, a full sister to champion racehorse and sire Galileo and daughter of Arc winner and blue hen Urban Sea.